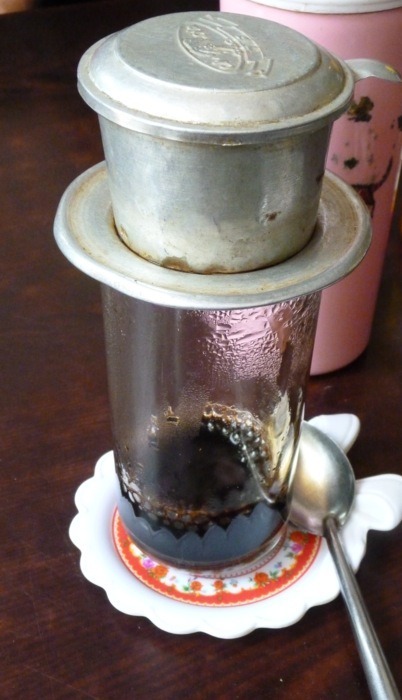 Vietnamese coffee is an entirely different beast. Originally introduced by French colonialists in the late 19th century, Vietnam quickly became a major exporter of coffee with plantations in the central highlands. The coffee is traditionally a dark roast finely ground and individually brewed with a small, metal French drip filter. Despite it’s small size, a glass packs a powerful punch and the dark almost spicy flavor is guaranteed to wake you right up.